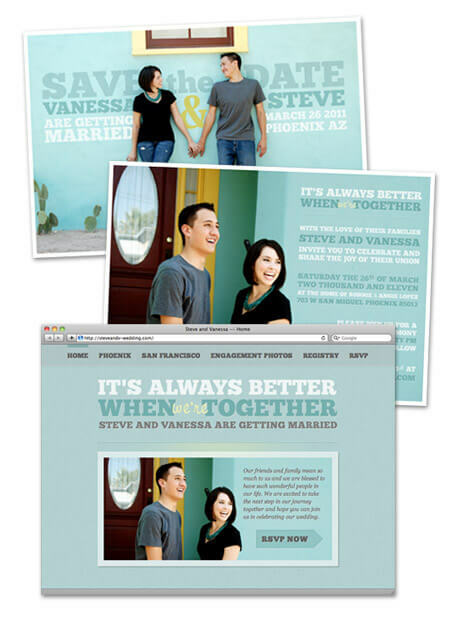 This weekend we finally got Steve and Vanessa’s wedding invitations printed and the website up and running. Because much of their family and friends are spread across the west coast, they are celebrating in Phoenix in March and in San Francisco in April. Helping out with their invites and website was a blast and I can’t wait to start the festivities!